Canada’s telecom watchdog is launching an inquiry into whether the country’s big wireless carriers are trying to muscle out competitors by charging them excessive wholesale roaming rates — something some of the small wireless players have been arguing for years. “Some of the large providers are charging, or proposing to charge, their smaller Canadian competitors significantly higher wholesale roaming rates than those charged to U.S.-based wireless companies,” the CRTC said in a statement Thursday. Canada’s small wireless players have only built out local networks in some parts of the country, and rely on the big telcos’ much more comprehensive networks to provide cellphone to customers that leave their local calling areas. Some of the wireless entrants, such as Wind Mobile and Eastlink, have been publicly complaining that the big telcos — namely Bell, Rogers and Telus — have been placing them at an unfair competitive disadvantage. Halifax-based Eastlink, which provides wireless services in the Maritimes, told the CRTC in hearings this past fall that the big telcos are charging them inflated roaming fees. In its own submission, Bell Canada said Canadians already enjoy competitive roaming prices. Bell slashed its retail roaming rates for the U.S. in September, amid rumours at the time that U.S. wireless giant Verizon is eyeing entering the Canadian market. Some consumers’ advocates argued this was a sign the large telecoms are overcharging for roaming, and could reduce prices if they so chose. The CRTC is seeking comments for its investigation into wholesale roaming fees. Anyone interested in participating in the investigation should submit comments to the commission before January 29, 2014. 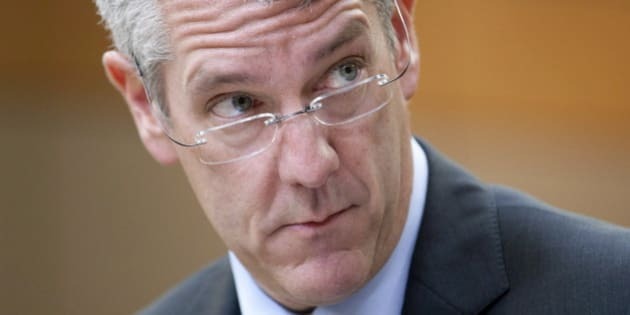 "Canadians are increasingly relying on their mobile devices for all of their communication needs, and we want to make sure that they have access to a choice of innovative and affordable services provided by reliable networks," CRTC chair Jean-Pierre Blais said in a statement.